Many are to blame for the 2014 Ebola outbreak in West Africa but public health institutions reliance on private funding was key factor to the spread of the outbreak. Still, the virus remains a threat. As a co-chair of the House TB Elimination Caucus, I remain committed to wiping out TB for good. I Lost Two Years Of My Life To TB. When Will The World Start Taking This Disease Seriously? We can end TB once and for all. It’s just a matter of world leaders making it a priority. It is ironic that of the three major infectious diseases, the one that has a cure is the one left behind. Fatima and Asa are the human beings behind the devastating TB statistics. In order to end TB, we need to fight a full-fledged war. Why Is Multidrug-Resistant TB A Health Security Threat? Tuberculosis is a public health crisis. Where in the world was kale when I was growing up? I don't think I even heard of it until a few years ago. Now one cannot escape it - in salads, of course, but in beverages, desserts, fried, baked. Although more countries have been passing laws to promote and to protect breast-feeding, the breast-milk substitutes industry continues to present a formidable challenge to achieving universal breast-feeding goals, a new report by United Nations agencies and a large advocacy group reveals. The organization will assess the risk of holding the Olympics in Rio. 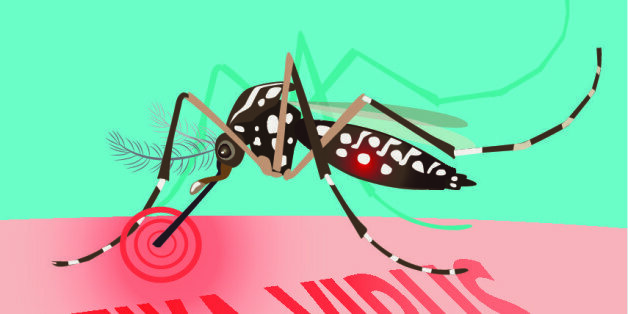 "This new malaria outbreak has devastated the entire country."